I have been dreaming of lazy summer days as my summer vacation is happening soon. I went to Target last week and got this very cute blue and white striped bag. 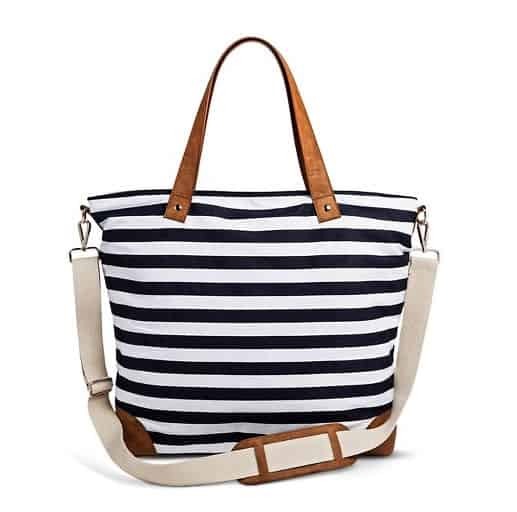 Perfect for the beach and travelling, it’s large enough for all of my essentials, like my ipad, phone, e-reader (I’m a gadget queen! 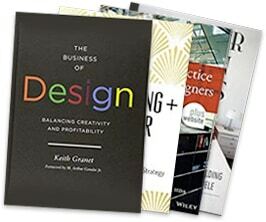 ), notebook, pens, magazines and snacks. So it got me thinking, about the classic Breton stripe and how stylish it looks both in fashion and home decor. From celebrities to the very hyped up ‘it’ girls, the breton stripe has an easy breezy summer vacay vibe. 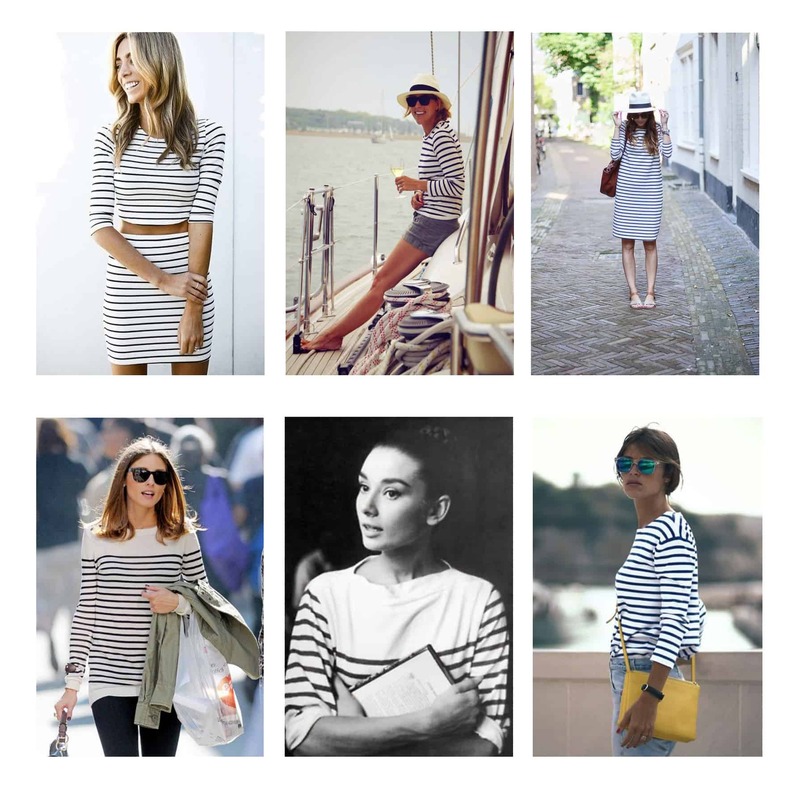 From Olivia Palermo to Audrey Hepburn the breton stripe has been an easy fashion staple for a long time. Worn in different styles and lengths, this clean, classic look is still going strong. I LOVE the long dress in the upper right image and how cool is that yellow cross-over bag in the image below it? 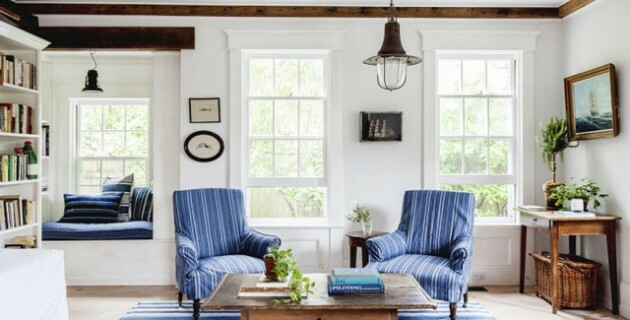 The classic blue and white stripe has a major crossover between fashion and furnishings, which offers a clean look and can be seen in everything from curtains, pillows, rugs and ceramics. 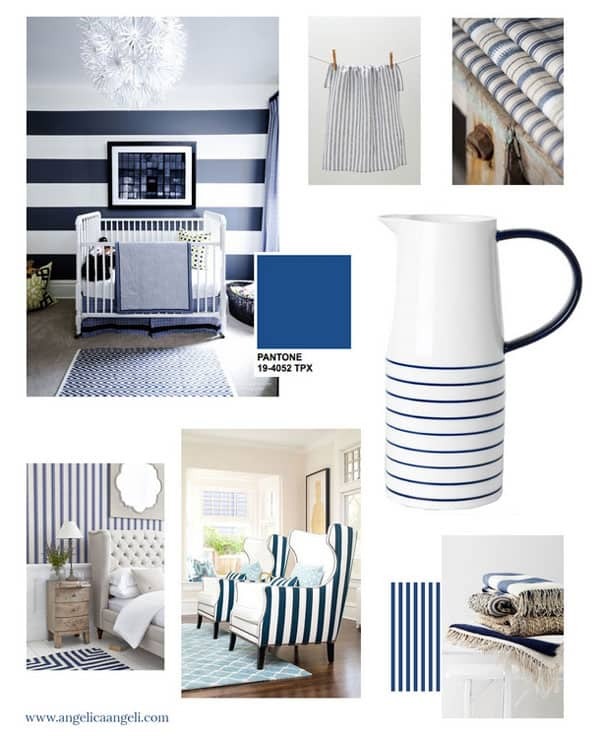 Here are a few images I put together from my Breton Stripe Pinterest board that I have been getting excited about! 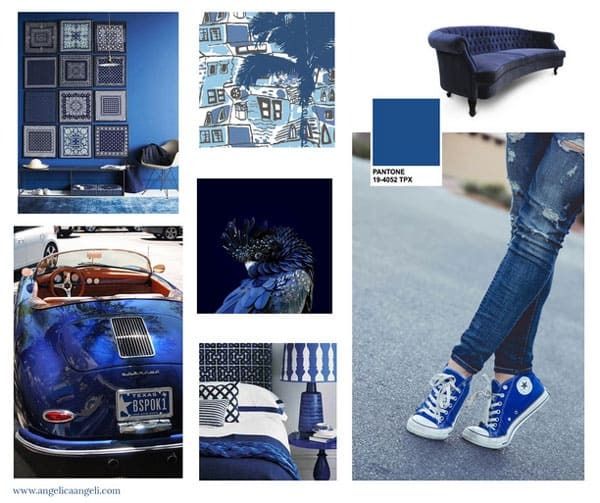 Classic blue not only works with white, but can work mixed with varying shades of blue. How cool is that vintage car? 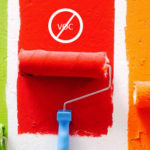 These colors reminded me of one of my favorite interior design firms in Atlanta that has used it in a gorgeous pool house. 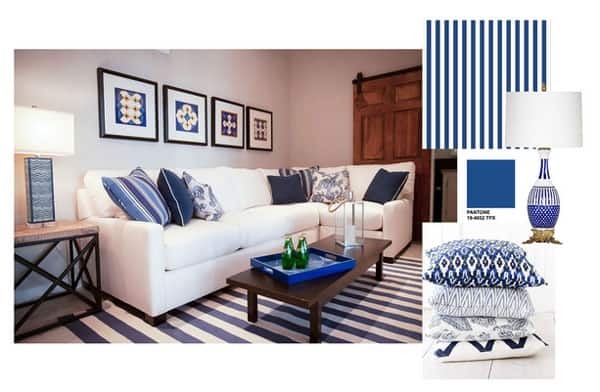 John Ishmael and his team from Nandina Home and Design have used blue/white stripes with classic blue in their work, check out this color combo, it’s just awesome! A lovely living room, with a white sofa, striped rug and contemporary prints framed on the walls. 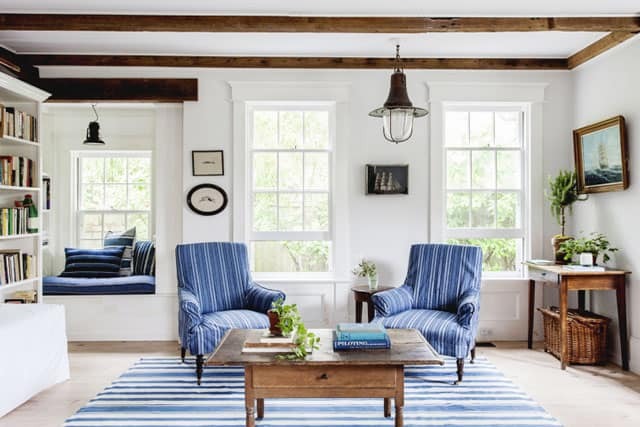 With classic blue pillows paired with patterns, the subtle details in the home decor accessories really pull this room together and make it feel complete. Imagine relaxing in this pool house with a cold drink on a hot day! 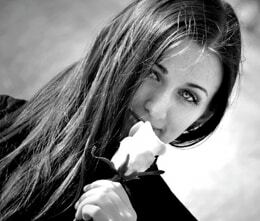 That would be just perfect. A stunning dining room with a dark wood table contrasts with the white wood panelling. 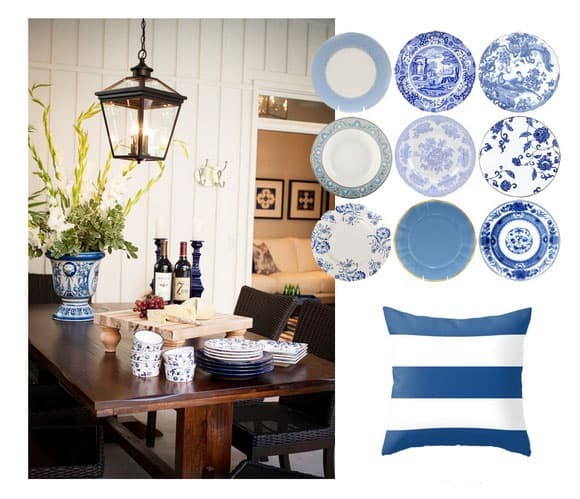 The china blue accessories continue the color theme and add a touch of beauty to this scene. This looks like a great place to chill out and relax with friends, drinking wine and nibbling on cheese! A beautiful wide doorway opens up to give us a view of the kitchen area. 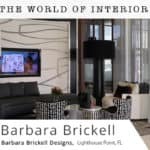 With simple white walls, the accessories really stand out and make a statement, from the gold lantern light fixture, striped rugs and patterned china. The coordinated accessories are cleverly matched to make this pool house have a relaxed vacation vibe. This is definitely somewhere I could see myself relaxing - oh! and my new bag from target would fit right in! 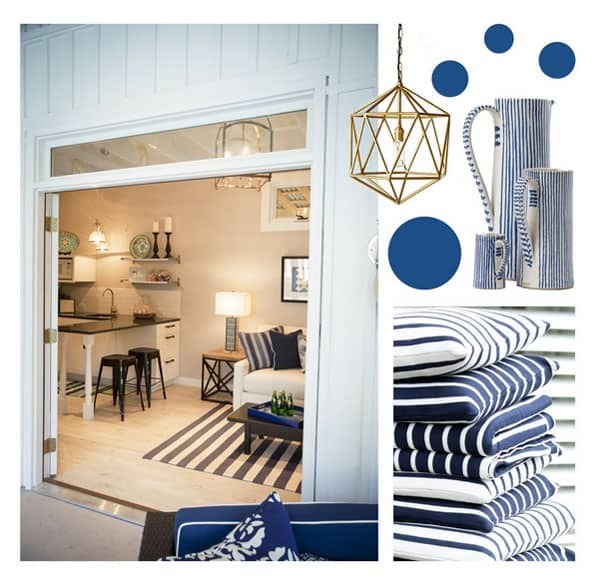 Do you rock the classic blue and white stripe in your home decor or have a much loved breton stripe shirt?